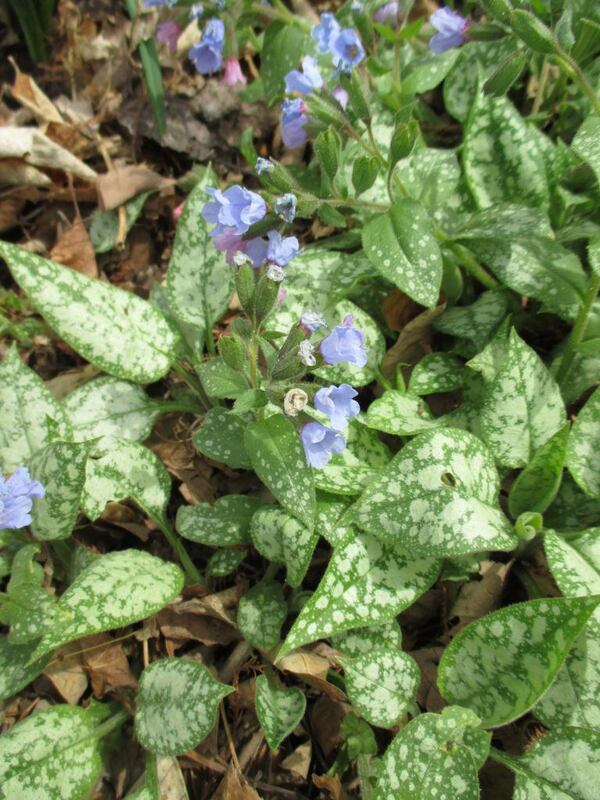 I’m a huge fan of using lungworts (Pulmonaria sp.) 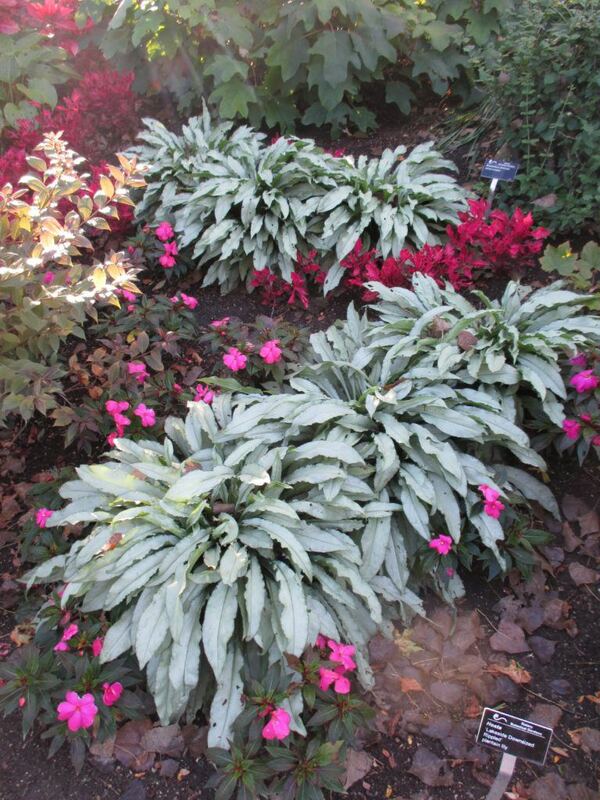 in the garden and frequently recommend them for part shade and tough soils. 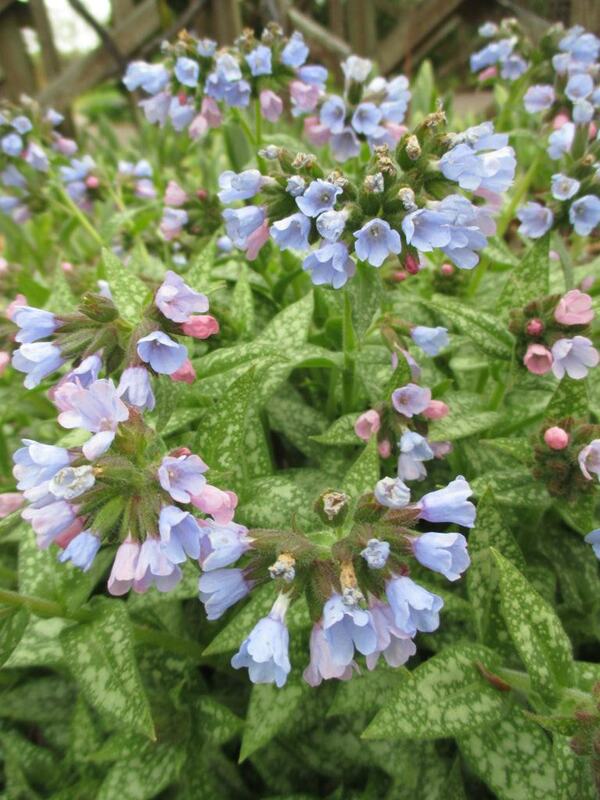 Native to Europe and West Asia, these perennials are in the Boraginaceae family and feature beautiful and colorful spring blooms. 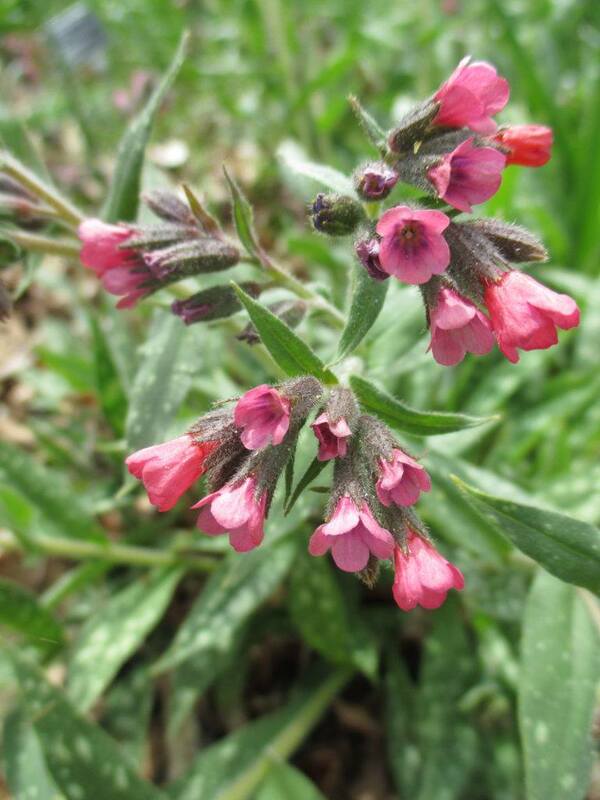 Funnel-shaped flowers usually turn blue once the pink buds open although flower colors of pink, red and white are not uncommon either and are specific to certain selections. 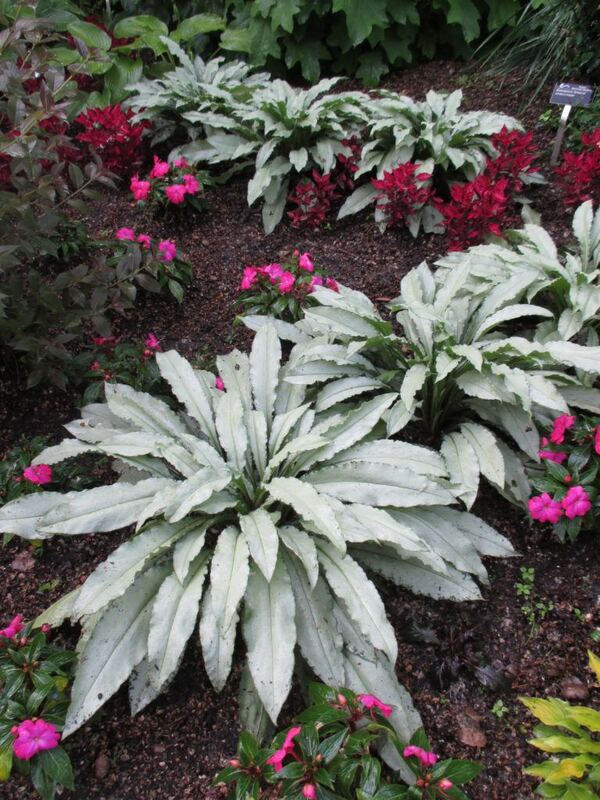 However, the blooms finish up quickly and the foliage then steals the snow. 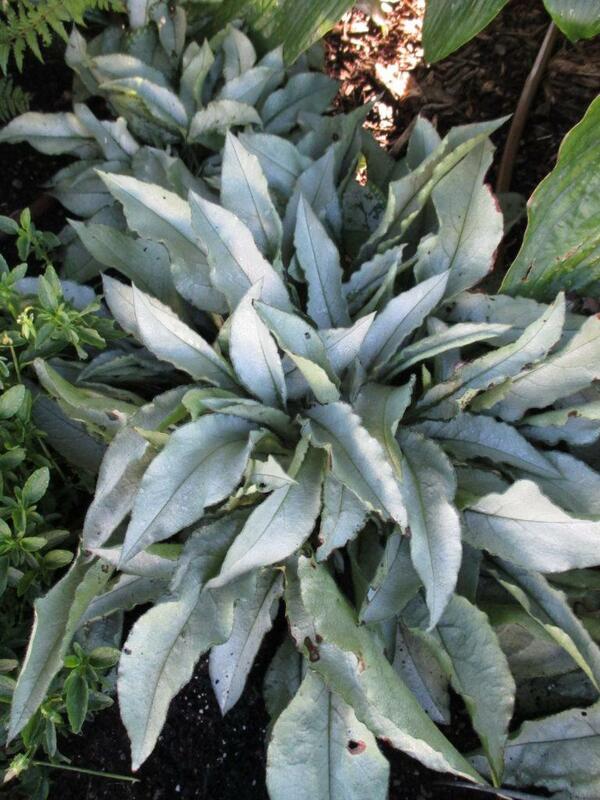 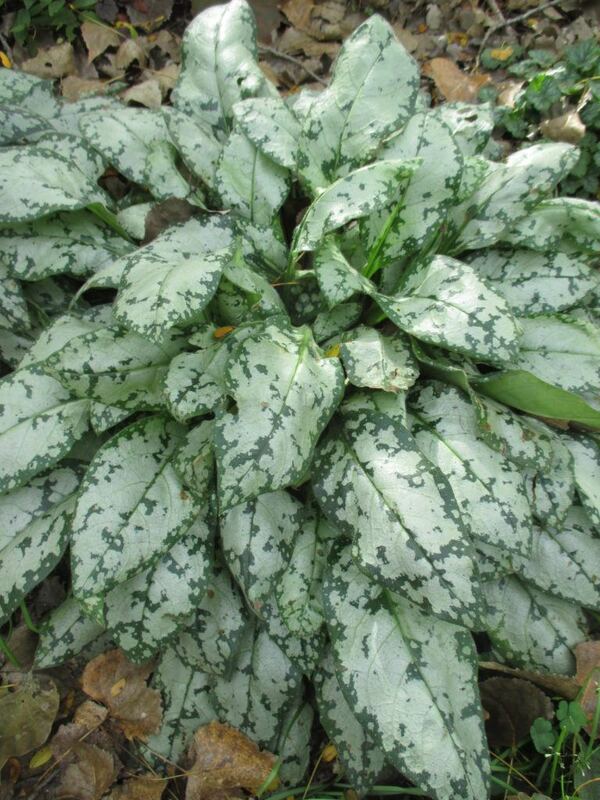 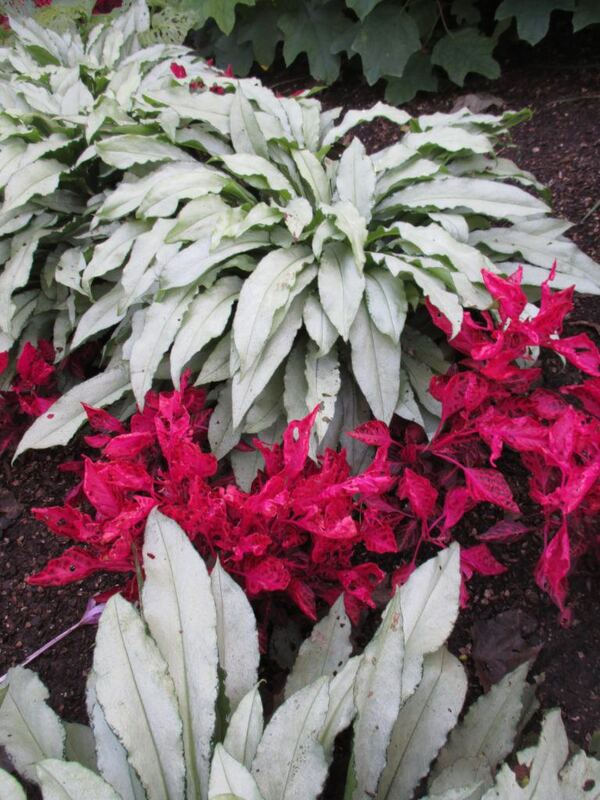 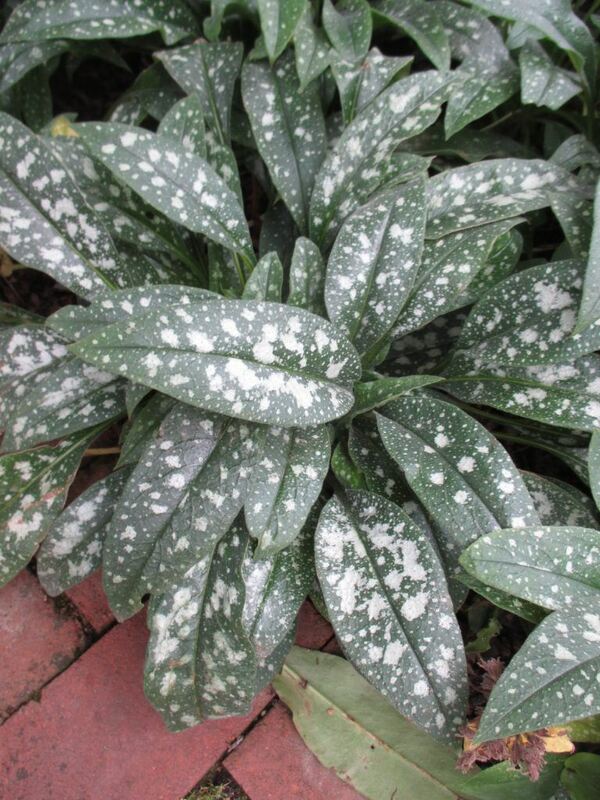 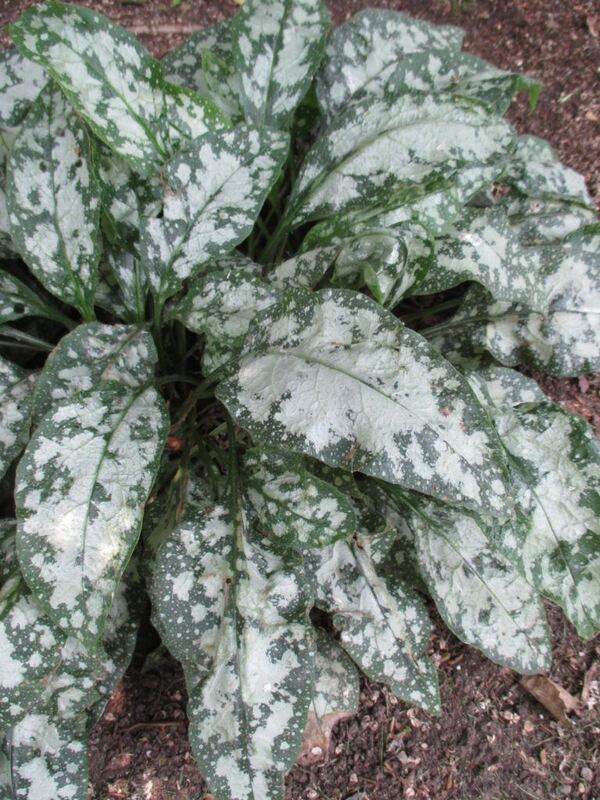 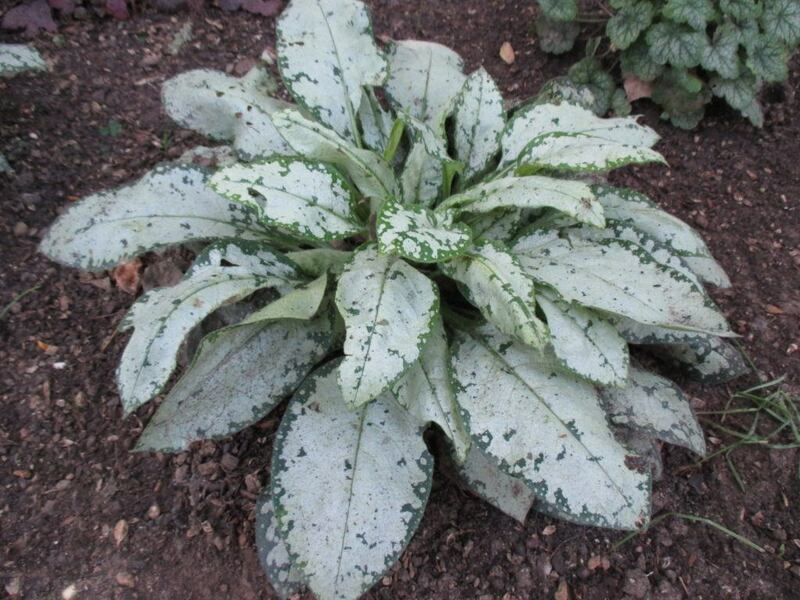 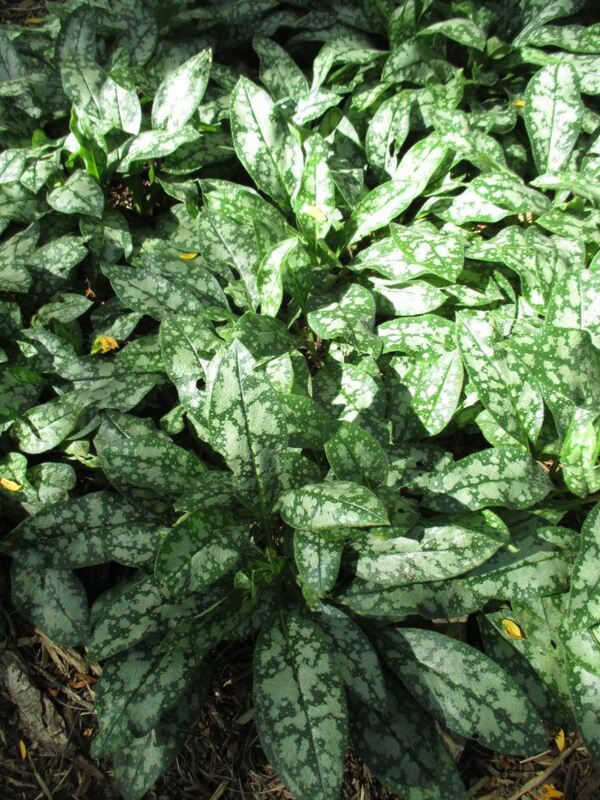 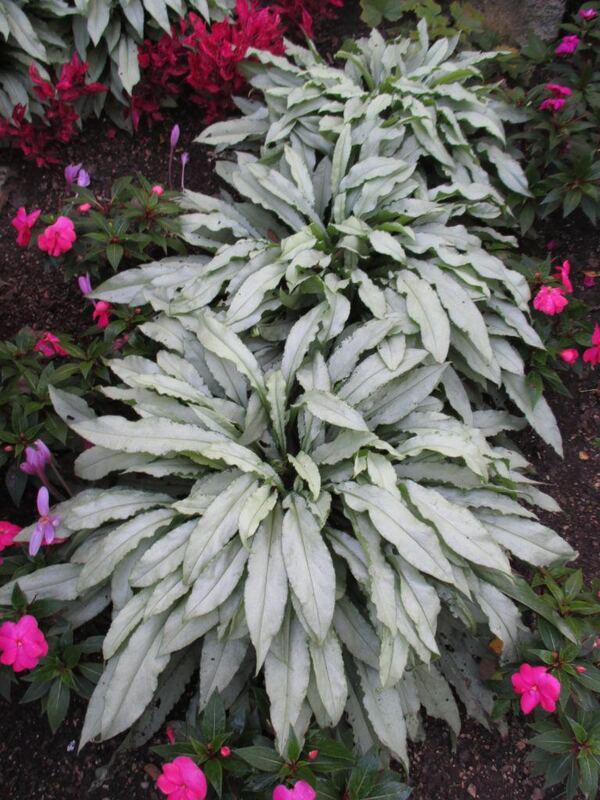 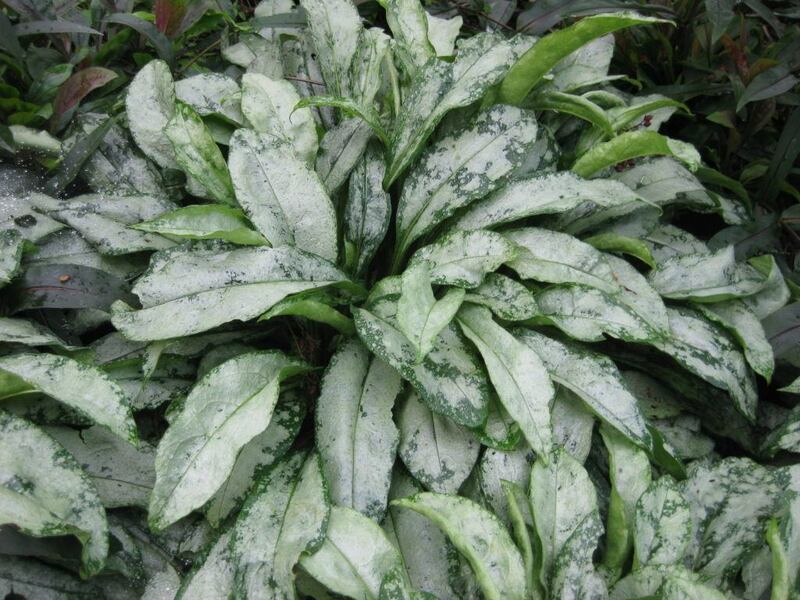 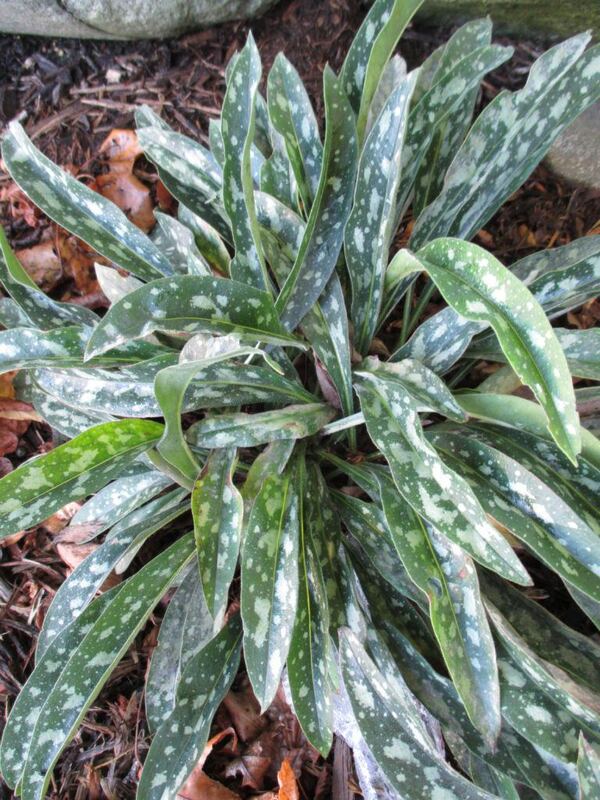 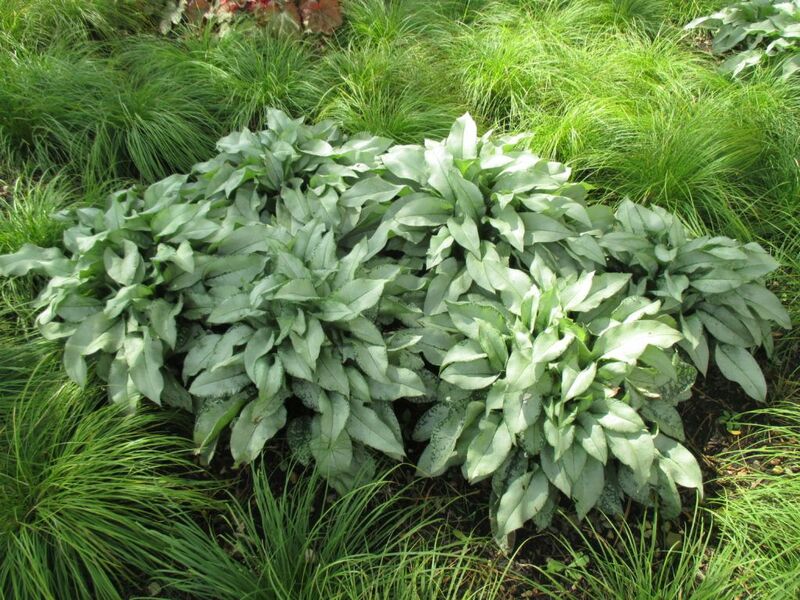 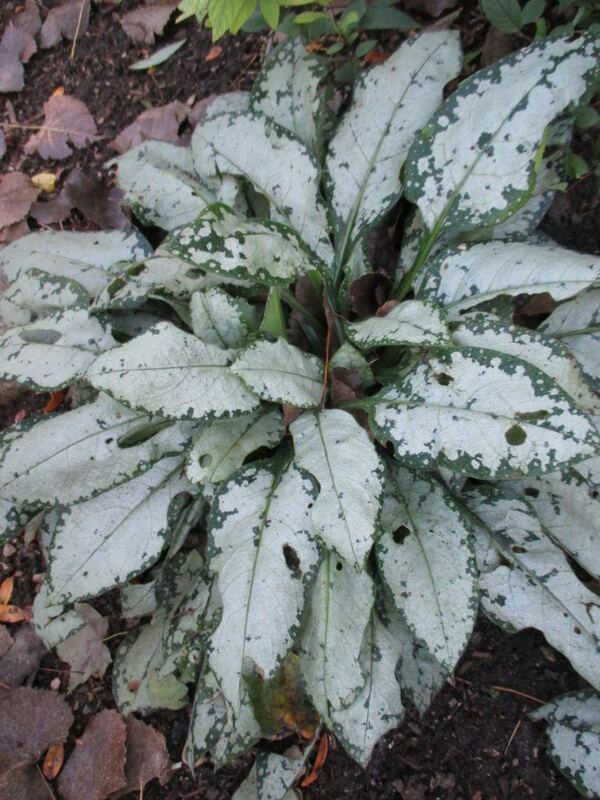 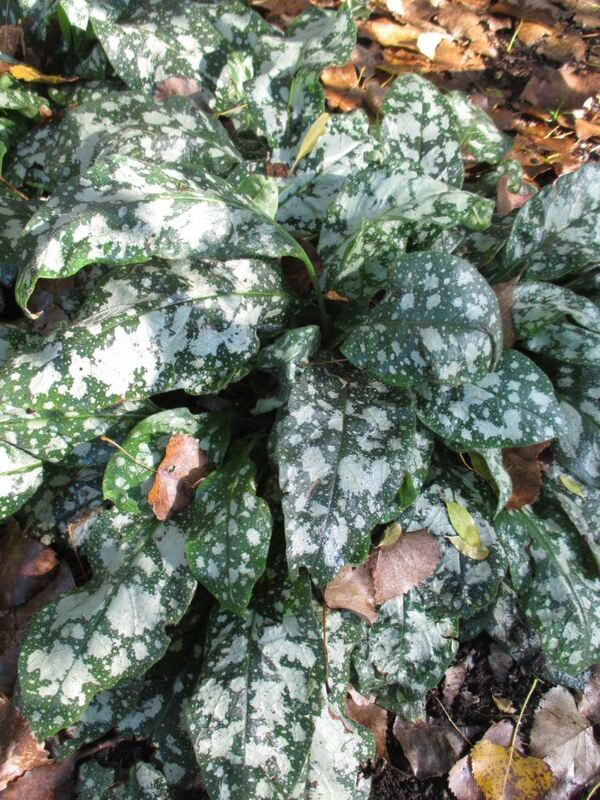 Directly above is a patch of Pulmonaria ‘Diana Clare’ adding wonderful color and texture with those silver leaves. 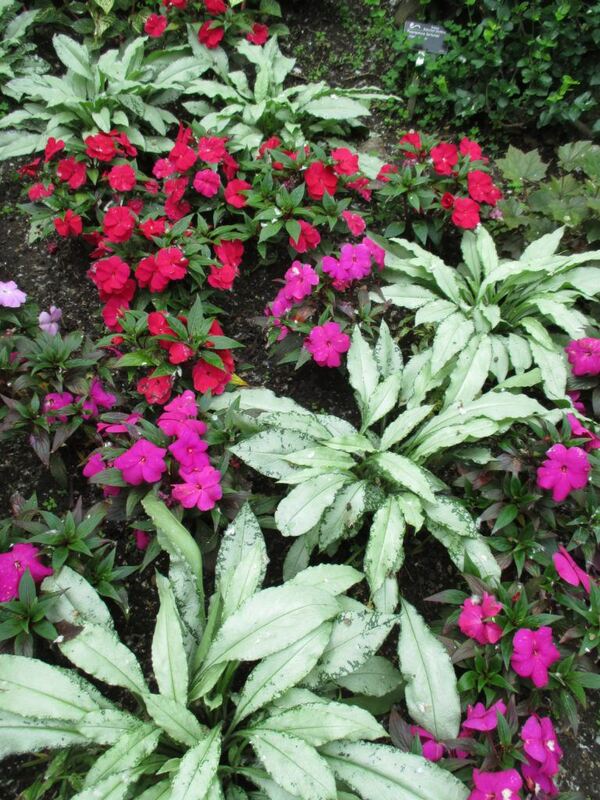 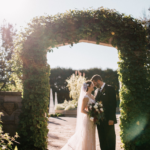 The blooms of this selection are seen directly below. 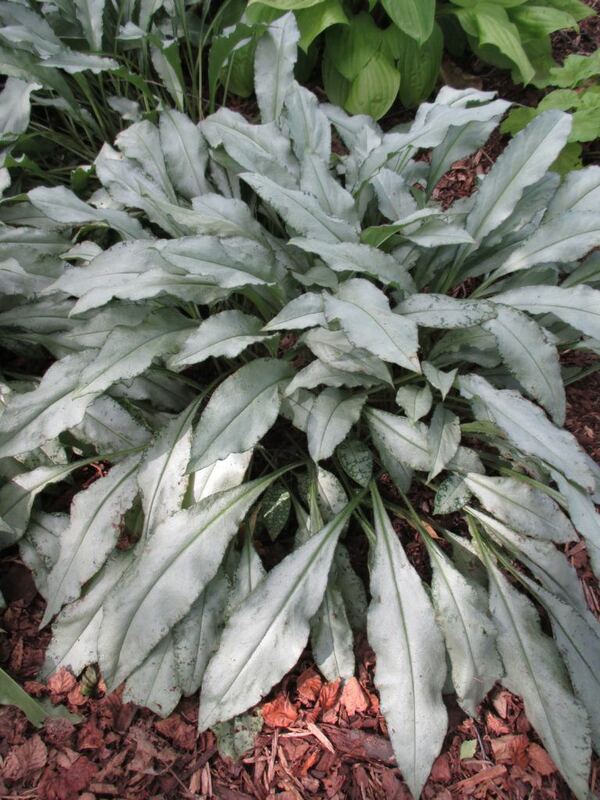 Typically reaching only 12-14″ in height, the foliage of lungworts comes out of a rosette and and it was actually the shape and spotting of the leaves (like a diseased lung!) 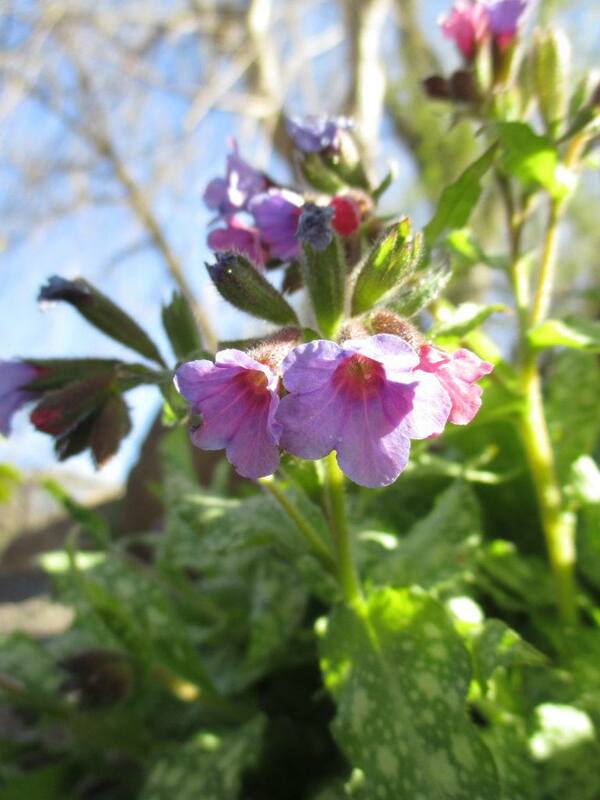 that created interest in this plant by Medieval herbalists for it’s potential in treating lung ailments (no scientific basis!). 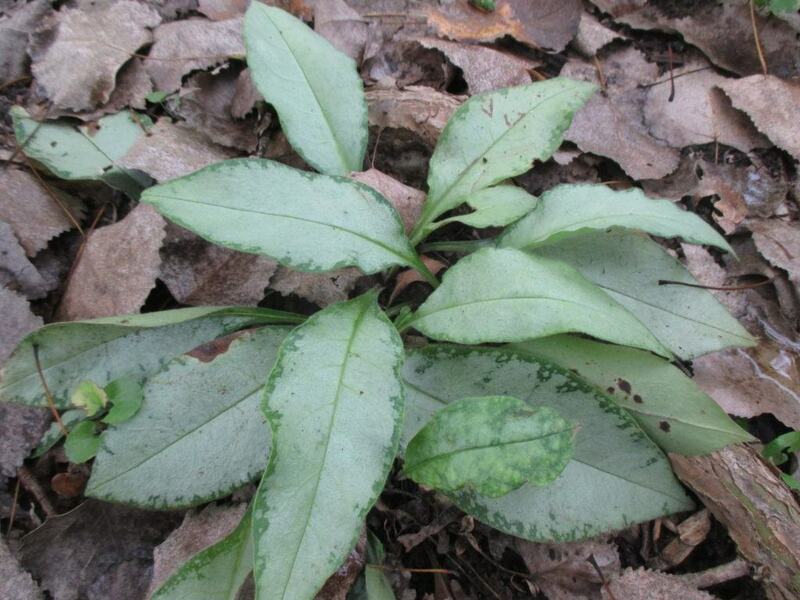 Deer tend to leave the leaves alone although sporadic slug damage and mildew issues may emerge during the growing season. 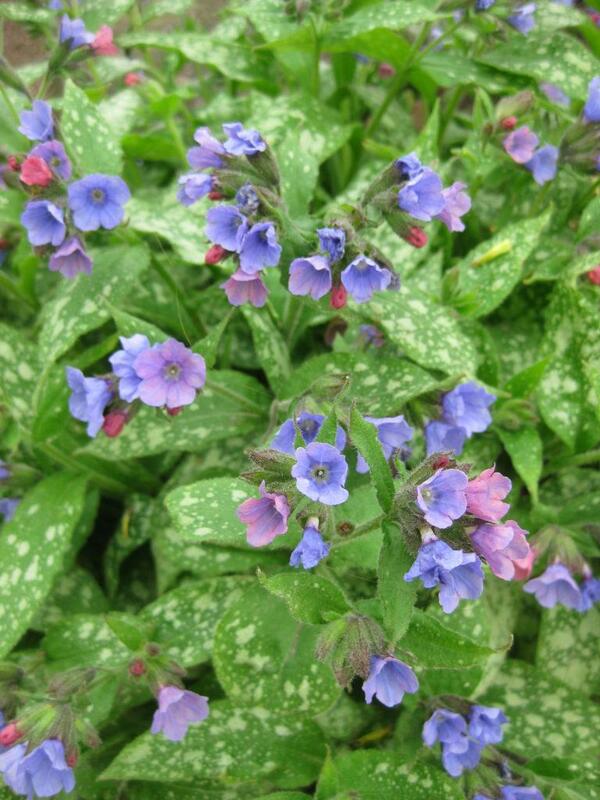 Hardy in zones 3-8, this perennial thrives in moist but well drained area and has some drought tolerance once established. 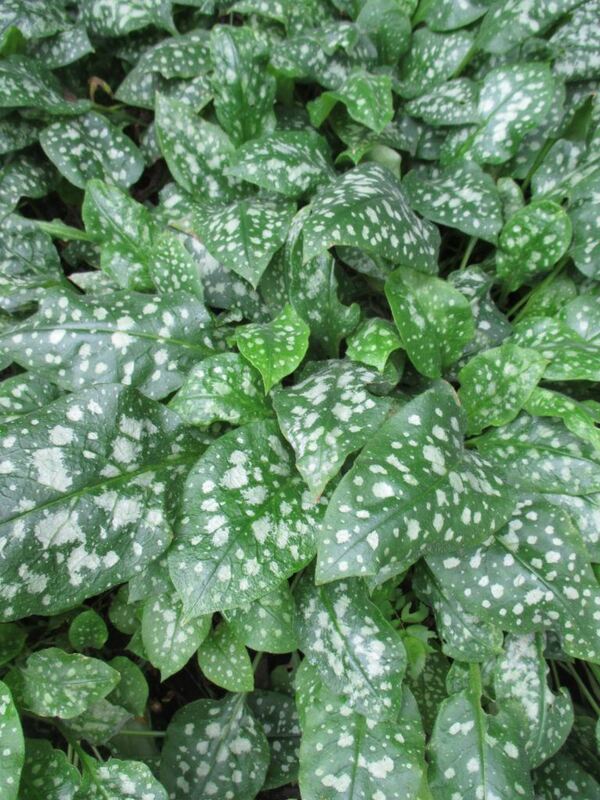 Hot and dry summers (or full sun) may compromise the foliage which can be trimmed back (“de-leafing”) to create a flush of fresh growth. 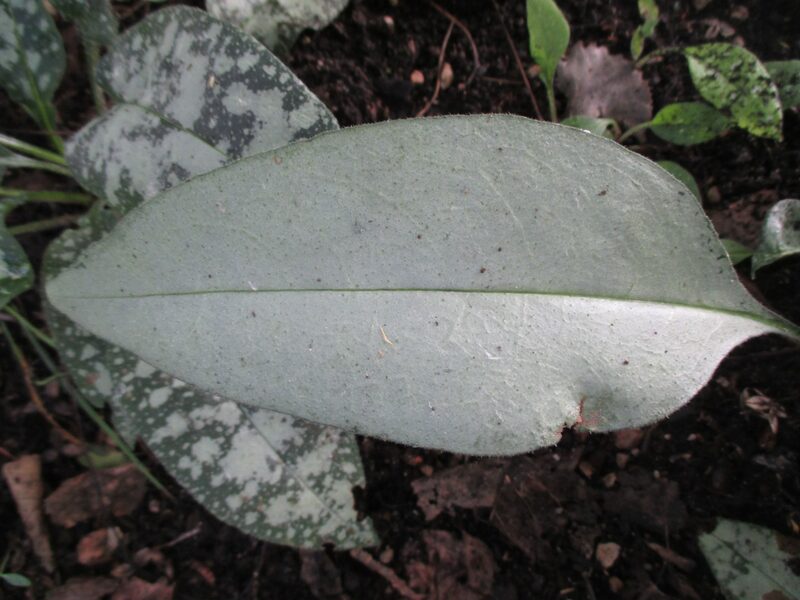 There are many selections available out in the market with a strong focus on the degree of silver in the leaves. 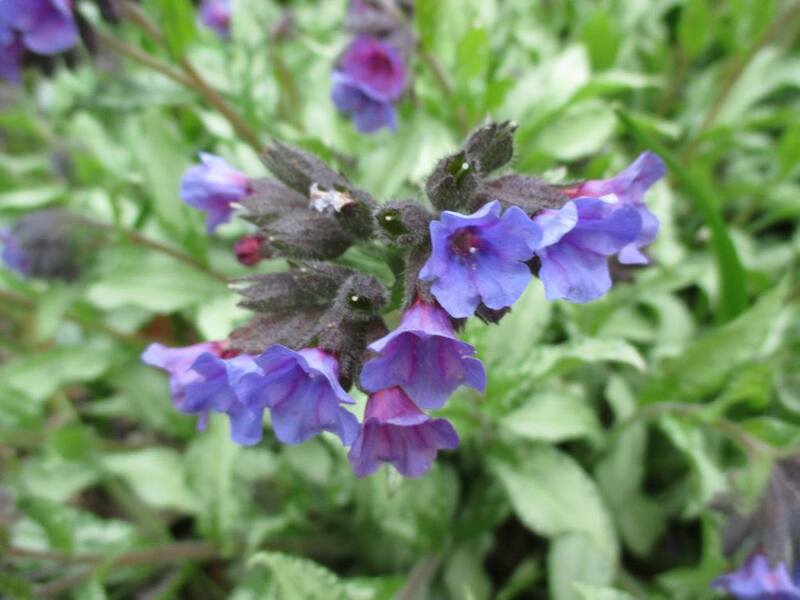 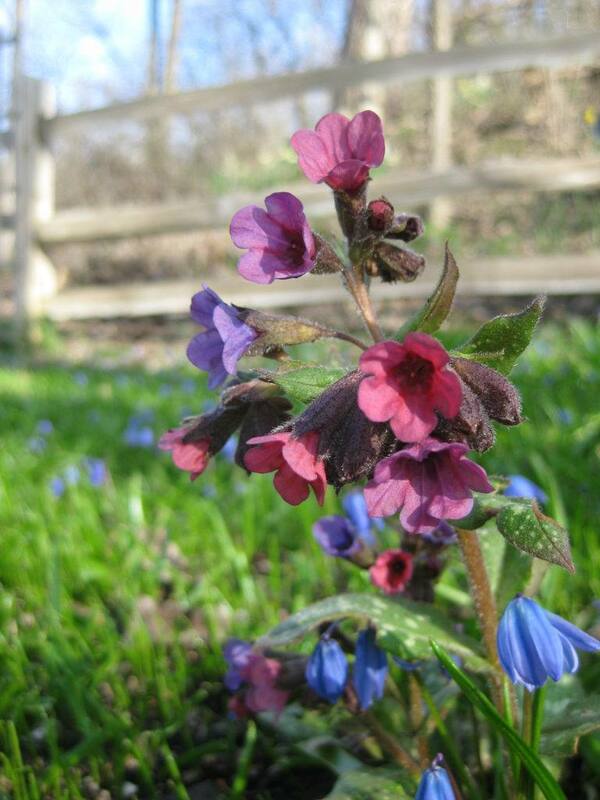 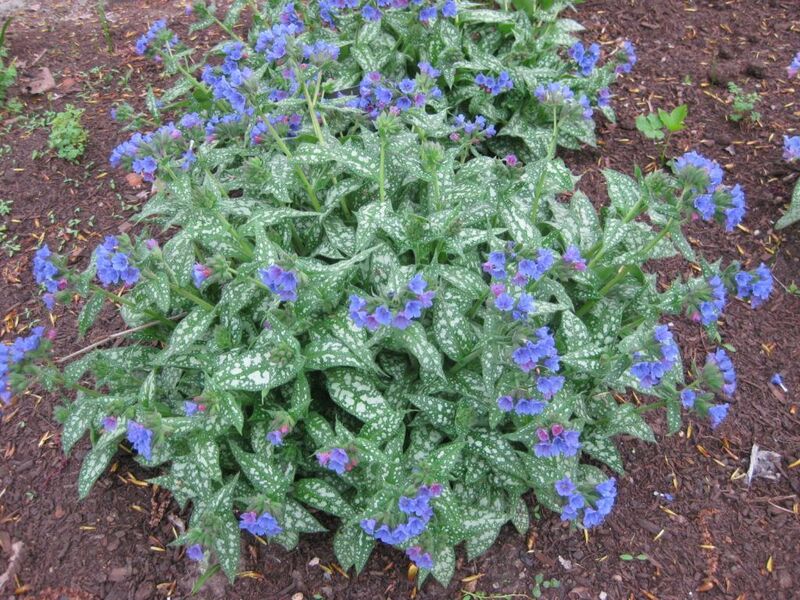 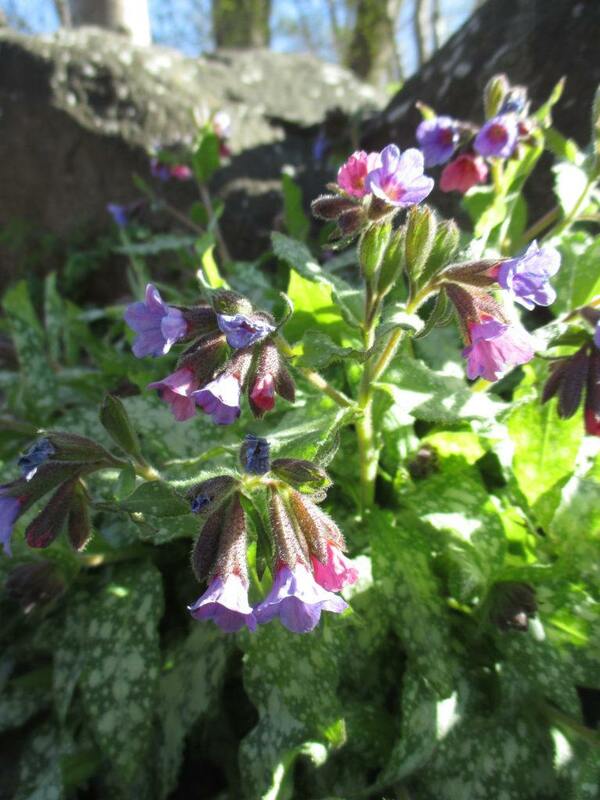 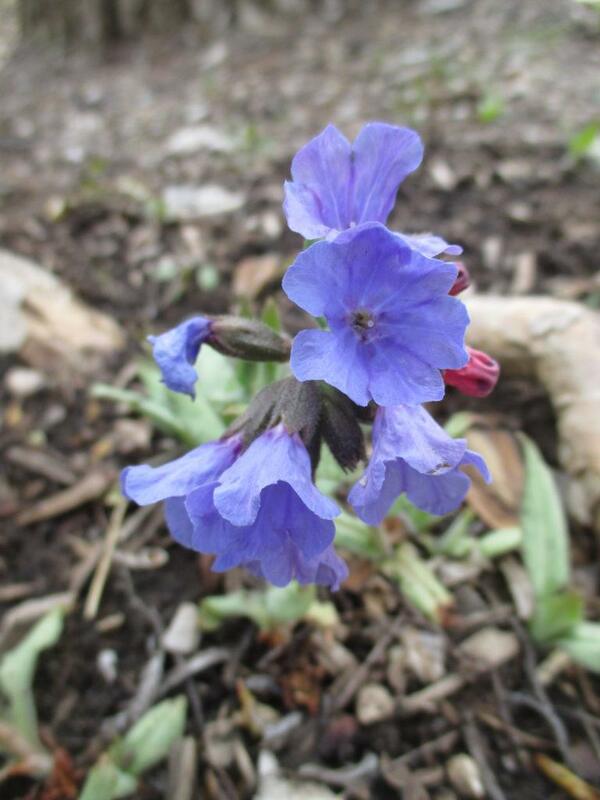 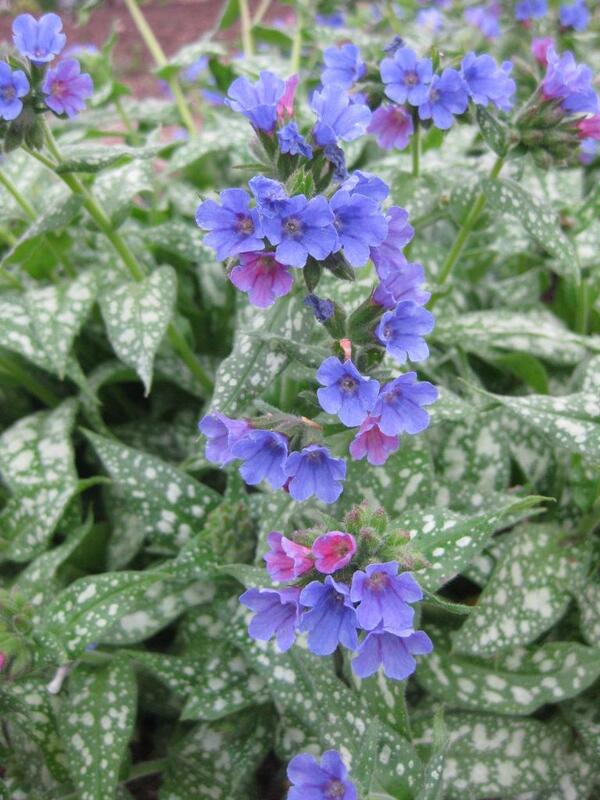 A wonderful resource to learn more about Pulmonaria and some of the early selections was compiled by the the Plant Trials Manager, Richard Hawke, at the Chicago Botanic Garden. 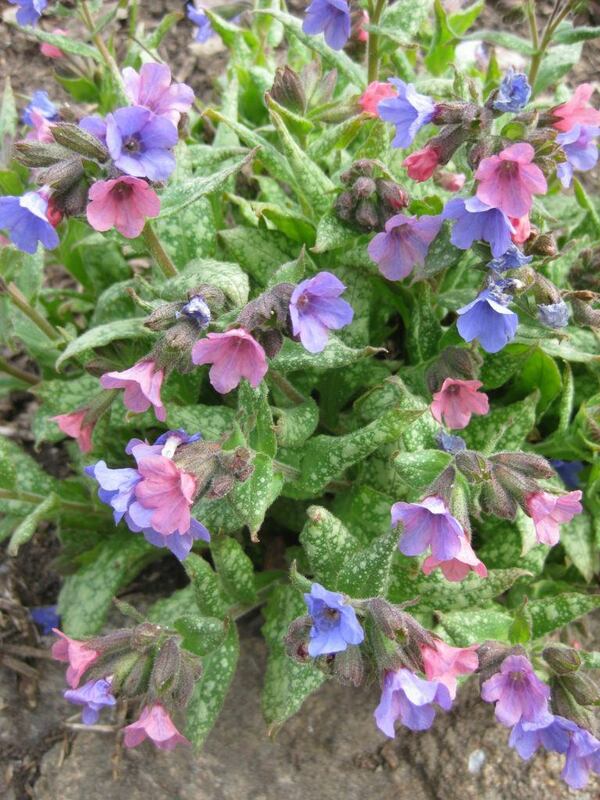 See https://www.chicagobotanic.org/downloads/planteval_notes/no17_pulmonaria.pdf for more information on this stalwart perennial.